Our customers come in all shapes and sizes and so do their vehicles. From Hummers to HHR’s; PT Cruisers to Fire Trucks or Buses to Zambonis… we’ve got you covered. 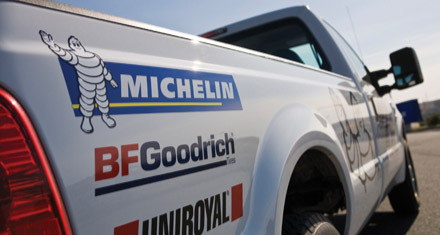 With full-color digital printing, in-house graphic designers and 3M certified installers Sojourn is your one-stop shop for all your fleet vehicle needs. We can design it, print it and install it. 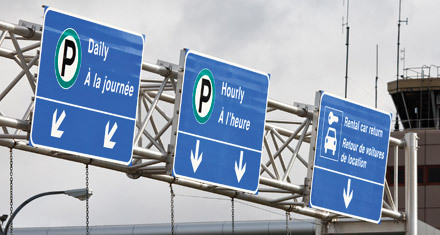 We design, fabricate and install an extensive range of wayfinding and directional signs including overhead highway signs, interior and exterior directories as well as a variety of suspended signs and wall frames. We design, print and install full color banners in a wide range of shapes and sizes for both interior and exterior use. From pole banners and hardware to large banner frames and pop up displays we’ve got your banner solution. 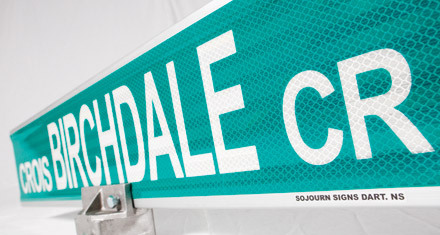 We offer a large selection of metal and acrylic sign letters in a wide range of colors and sizes. Whatever the application – interior or exterior, illuminated or non-illuminated – we have the solution. 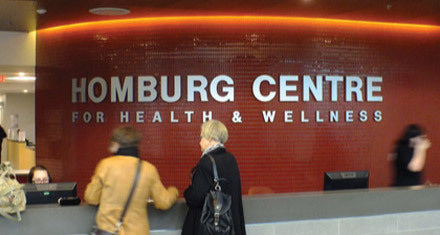 We offer a wide range of interior signage from modular wayfinding systems which include wall frames, suspended signs and directories to cut sign letters and a full range of custom fabricated signs. Our professional design team can help create the look and feel that’s right for your business or organization. Whether you’re looking for a 911 civic marker for your business or large overhead panel signs, no project is too big or too small. 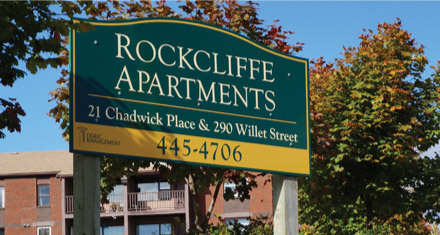 We can design, fabricate and install a wide range of exterior signs using the best materials and workmanship, to ensure your sign lasts and your business is recognized. As a 3M Certified Sign Fabricator, our processes and materials meet the requirements and standards for provincial highways throughout Canada. 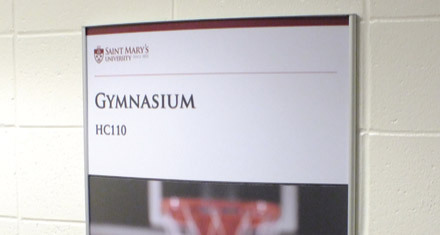 Using the best quality aluminum materials and 3M reflective sheeting, our signs are durable and visible. 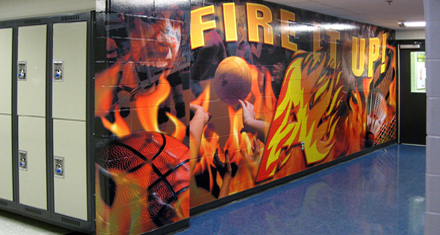 We can design, print and install a full range of graphic materials on windows, walls, floors, sidewalks and much more. If your walls could talk…what would they say? For over 20 years Sojourn has been producing construction and regulatory signs for towns, municipalities and contractors throughout the region. 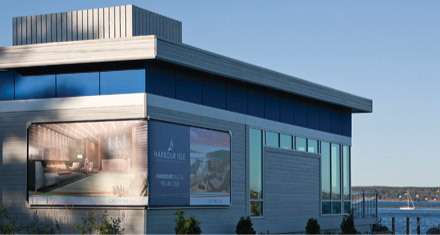 Quality products and materials combined with fast and friendly service is what makes Sojourn Signs Atlantic Canada’s leading supplier of construction and regulatory signs and products. 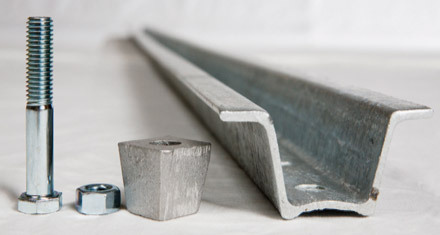 Sojourn is Atlantic Canada’s leading supplier of sign posts and sign mounting hardware. 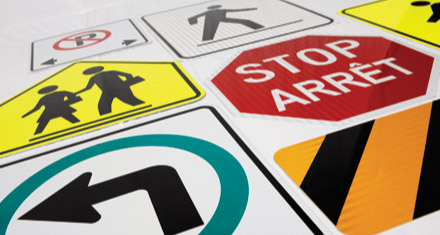 We stock a large selection of square tube and U-channel sign posts and hardware for mounting Regulatory and Warning signs as well as street name signs – both standard and custom.